One of the most important components in setting up a decent home theater is the sound. If you don’t get the sound right, you’ll find that a lot of the magic in today’s movies, and yes, even TV shows, is sorely missing. 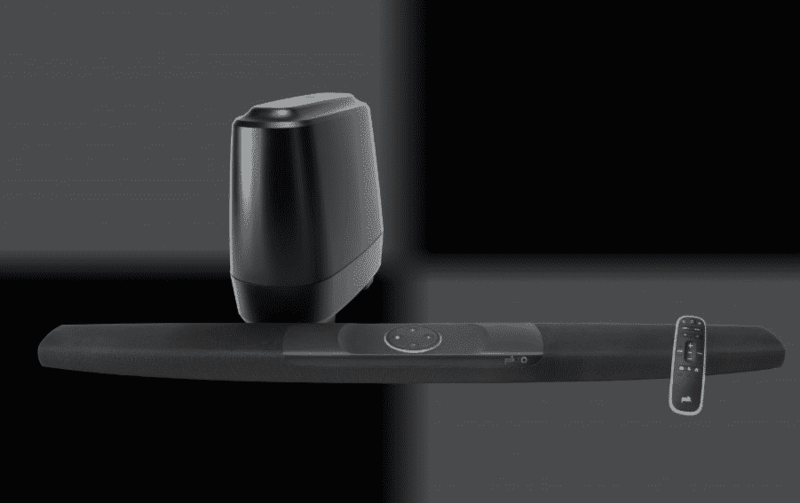 But Polk makes it easy to let the magic happen with its Polk Command Bar with Amazon Alexa Built-in. But it doesn’t stop at just the theater sound. 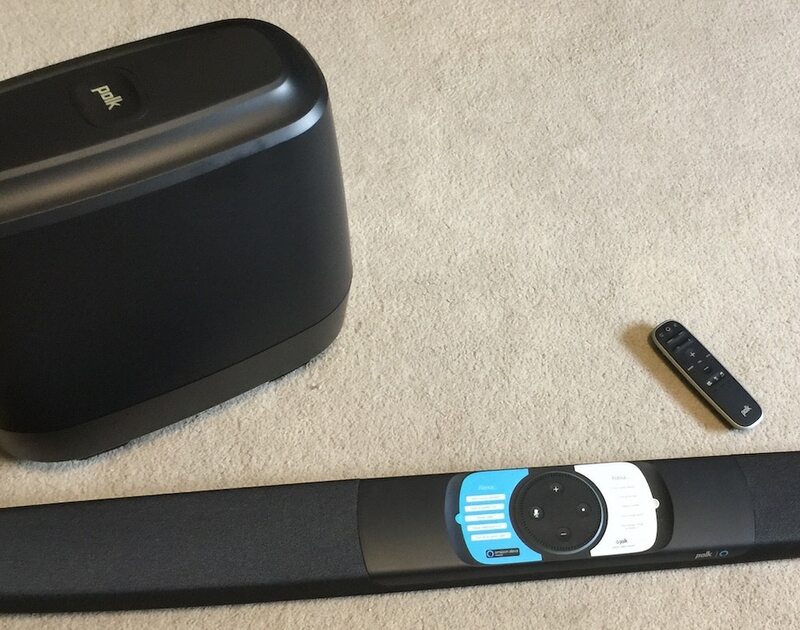 The Polk Command Bar from Best Buy consists of two parts, the soundbar itself, and a stand-alone subwoofer. The subwoofer is designed to connect wirelessly to the soundbar, eliminating the need for a wired connection. This lets you place both components in optimum locations without worrying about the connection. Once everything is powered, the system connects quickly. 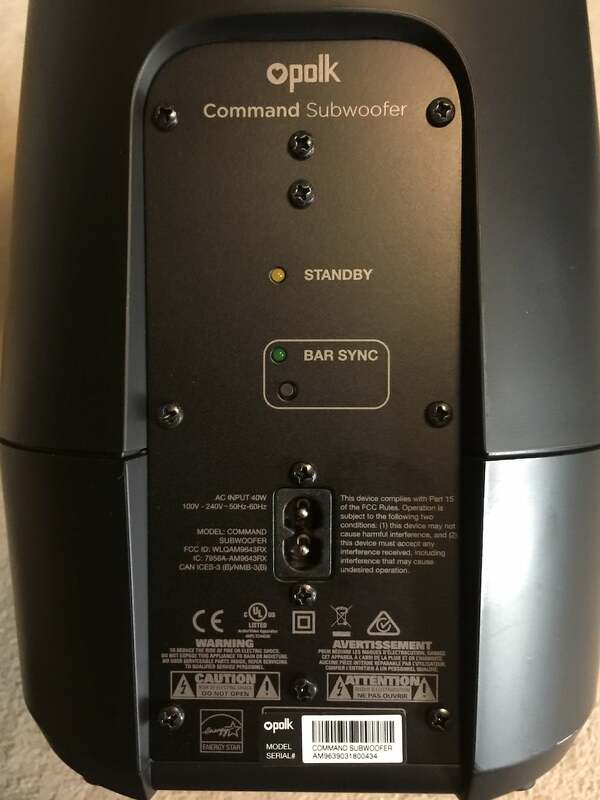 There is a sync button on both devices to get everything talking, but in my experience you can set it up and forget it, the subwoofer keeps a rock-solid connection to the bar. The subwoofer kicks out a lot of bass, and it perfectly complements the soundbar. The soundbar itself is long enough to get a lot of separation between the channels, allowing for great spatial imaging. The system utilizes a performance-tuned driver array, which manages to marshall the impressive 260w of total output power into a sweet audio experience. The system will easily fill any reasonably-sized media room with the right sound quality and delivery for an enjoyable home theater experience, featuring full Dolby/DTS surround sound decoding. But the Polk Command Bar stands out from other soundbar solutions in that it comes with Amazon’s Alexa already built in. This Alexa is just about as fully functional as the dedicated units from Amazon, with only room to room messaging and a couple other items not implemented. And even those are coming with future updates as Amazon continues to empower third-party solutions. In fact, in my testing, I couldn’t find anything that the Polk Command Bar couldn’t do as far as my uses with Alexa are concerned. Everything, from keeping my calendar straight to streaming music, was easily handled by the unit. But what’s more, Alexa on the Polk Command Bar controls functions specific to the unit. For example, you can obviously turn up the volume. 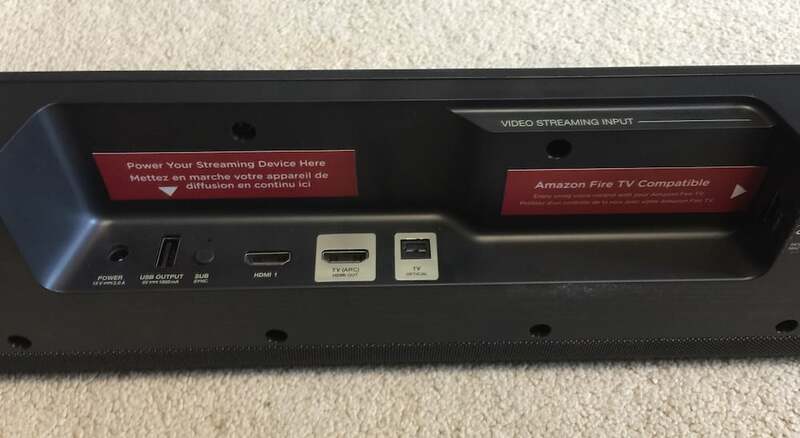 But you can also ask Alexa to turn up the bass, switch to the other HDMI input (there are two), turn on night mode, or even request a specific title from Netflix if you are running a Fire TV. The two HDMI ports on the Polk Command Bar are spaced to allow for Tire TV and other HDMI based streaming devices. Too many times I’ve lost HDMI ports simply because they were placed too close together for the streaming option I was using. This will not be a problem here, glad to say. 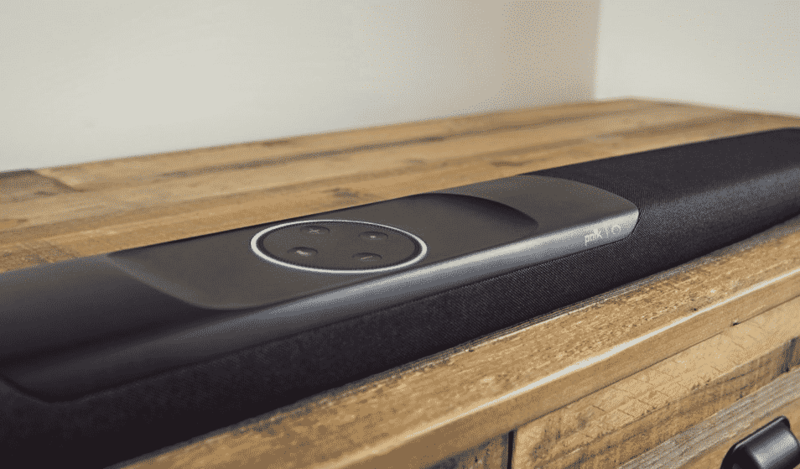 The built-in dual HDMI 2.0 inputs enable this Polk Command Sound Bar with Amazon Alexa Built-in to produce excellent 4K HDR content. There is also a handy USB port to power your favorite streaming solution. The hardware height is kept at only 2″ so it won’t be an issue when you set it below your widescreen TV. The unit has a sleek appearance, sure to look right at home with today’s entertainment devices. In my use, the system itself faded into the background while providing an impressively immersive experience. 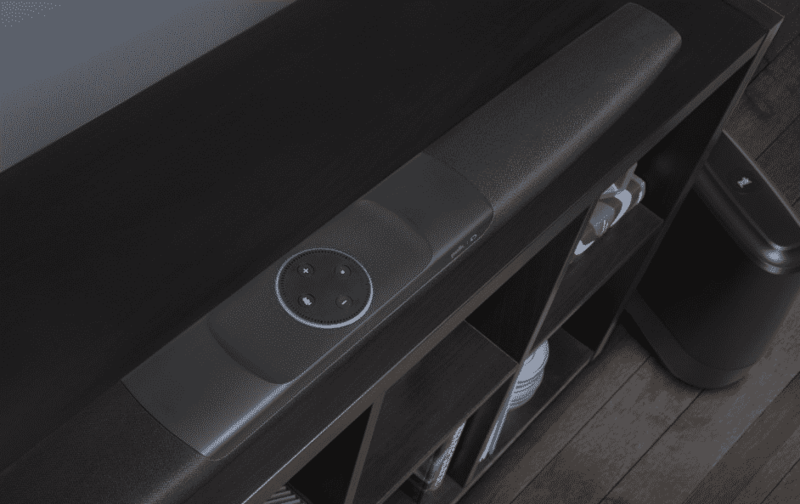 The Polk Command Bar is simple to hook up, whether you are using it with a cable and TV or another source. I used it with an Apple TV, and everything worked great. There is a TV HDMI output, saving you the expense of splitting the HDMI output from a cable box. There is also an optical input, allowing you to run a Toslink cable from a compatible TV if you want to go that route. I did this since I had the optical cable handy, and it worked perfectly. On initial setup, it is easiest to download the Polk Command Bar App and use it to set up the unit, which is mostly the WIFI connection. The app worked fine, and I was streaming music in just a few minutes from hooking up power. Bluetooth is also an option, and it works just like Bluetooth should. I could hook to it with both an iPhone and a laptop, as long as I disconnected one before I tried to connect the other. The always-on design of the unit makes it simple to manage connections. And Alexa will control the connection for you, all you have to do is to ask. Even if you don’t have a visual component to your setup, the Polk Command Bar is still a great addition to any room or office. I often use Alexa to stream radio stations and other music, and this works great. In fact, I am streaming a local alternative rock station as I write this. The sound is crisp and the bass is strong, turning a phone or a laptop into a home listening experience. And if you have Amazon Prime or Spotify, you already have an incredible song library out of the box, no other components required. Even though the sound is cranking, I can still summon Alexa with ease. 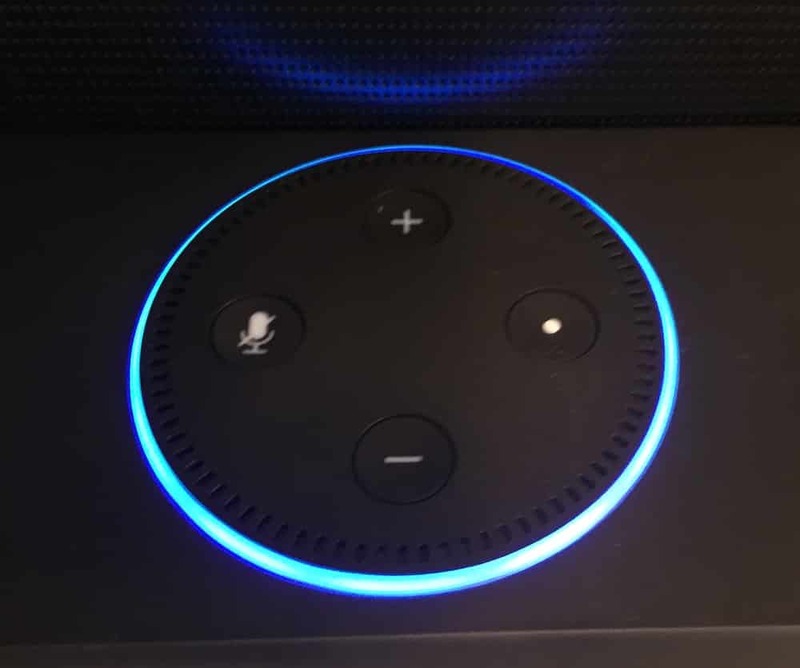 The unit appears to be just as sensitive as a dedicated Amazon device, and the integrated far-field microphones provide the ability to control it using your voice via Amazon Alexa. 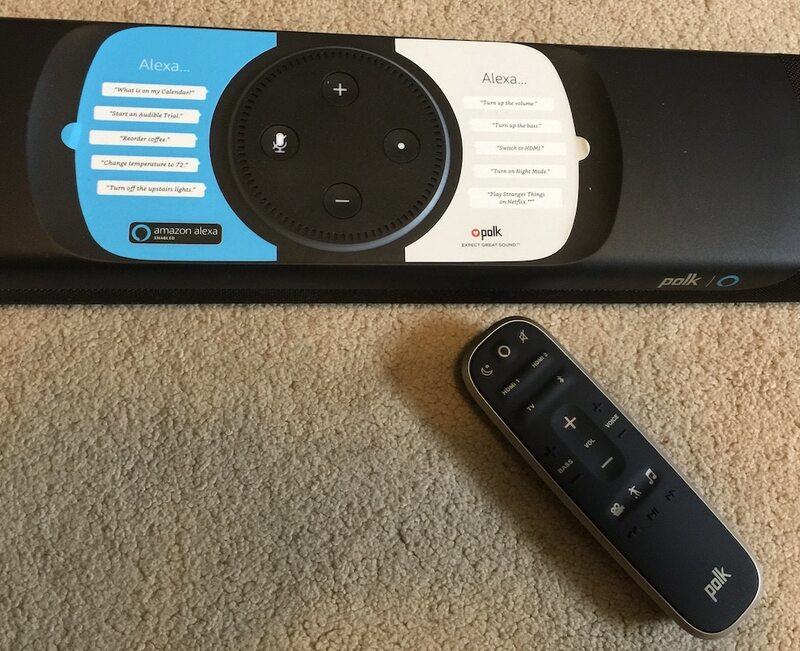 The Polk Command Bar with Amazon Alexa Built-in from Best Buy is a great example of how our home electronics are getting so much smarter and versatile. Not only can it be a great sound solution for home theater, but it can serve as a home hub and information system as well. It just keeps getting better, and I believe consumers continue to get more value for their entertainment equipment dollar. Not to mention that it sounds really nice, of course.